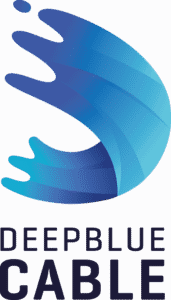 April 2, 2019 — Deep Blue Cable, the developer of a state-of-the-art subsea fibre-optic system providing connectivity across the Caribbean islands and to the Americas, announces today that its Director of Marine Services, Glenn Lipsham, and Director of Permitting, Nigel lrvine, will present at SubOptic 2019, taking place at the New Orleans Marriott in New Orleans, Louisiana. On Tuesday, April 9, 2019, Mr. Irvine and Mr. Lipsham will present highlights from a co-authored paper titled, “The Continued Justification for Comprehensive Marine Surveys to Ensure Successful Route Engineering and Project Permitting” during the event’s poster session. Mr. Irvine has 30 years of experience working in marine survey and cable installation, specifically in the planning, operation and maintenance, environmental and legal and regulatory aspects of these industries. Joining him to present the paper is his co-author, Mr. Lipsham. Mr. Lipsham has over 20 years of experience as a Senior Marine and Terrestrial Operations Manager. He is an expert on planning, provisioning and operating submarine cables, including wholly owned and consortia cable systems. The co-authors will discuss the importance of ensuring comprehensive surveys are completed during the process of submarine cable planning, permitting and installation. They will provide a real project example to help demonstrate how to potentially help mitigate risks to existing and future-planned cable systems and the marine environment in which they are deployed. Based in St. Lucia, Deep Blue Cable is the developer, owner and operator of a state-of-the-art subsea fibre-optic system providing connectivity across the Caribbean islands and to the United States. Spanning approximately 12,000 km, the Deep Blue cable’s initial landing points will be in 14 markets throughout the region, including the British Virgin Islands, the Cayman Islands, Colombia, Curaçao, the Dominican Republic, Haiti, Jamaica, Panama, Puerto Rico, Trinidad & Tobago, Turks & Caicos Islands, and the U.S. By ensuring competitive pricing and resilience through alternative supply, Deep Blue cable will provide connectivity to international and regional telecommunications operators, regional network providers, Over-the-Top (OTT) providers, data centres, government, and large enterprises, including financial services, and oil and gas companies. For more information, visit www.deepbluecable.com.